Jane Campbell (1820-1881) was the daughter of William Campbell and Elizabeth Goddard. She grew up on farm near Riverdale Plantation which was owned by her grandfather Alexander Campbell. At the age of 38, Jane became the second wife of Samuel Hannibal Love, a widower with three small children. 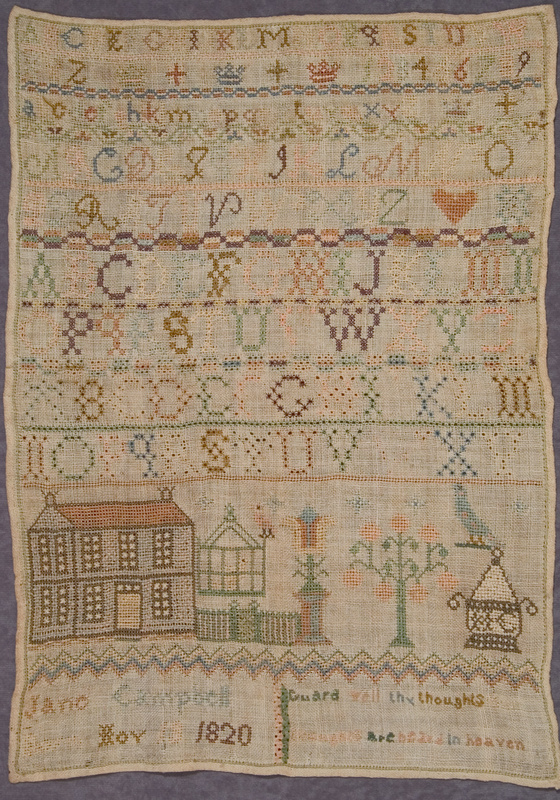 This sampler is in pristine condition. The colors remain as fresh as the day they were stitched. 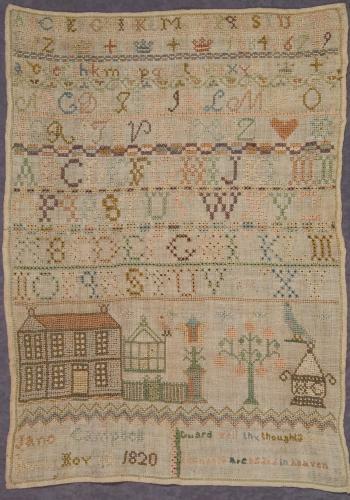 Though she was a second generation Tennessean, Jane used reversible marking cross, connecting her work to the Virginia sampler making tradition.